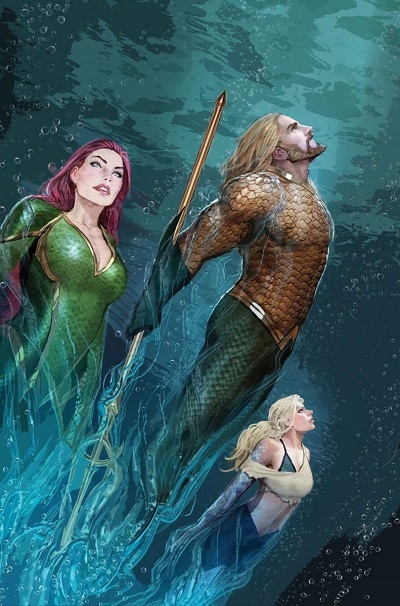 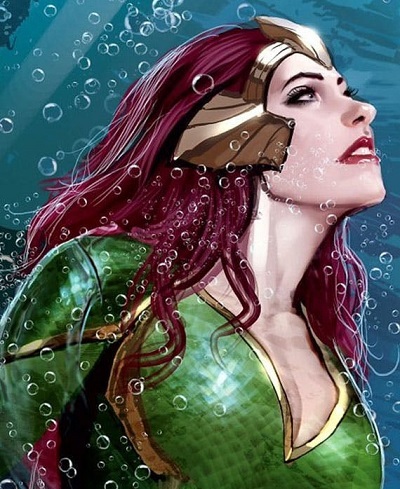 When originally solicited, Aquaman #31 presented a cover by artist Stjepan Sejic featuring Aquaman, Dolphin, and Mera without her tiara or crown. 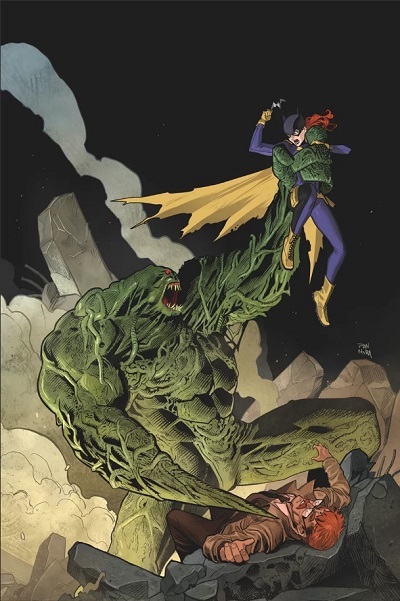 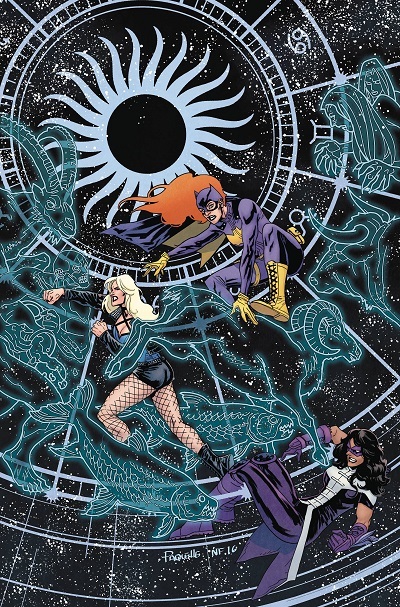 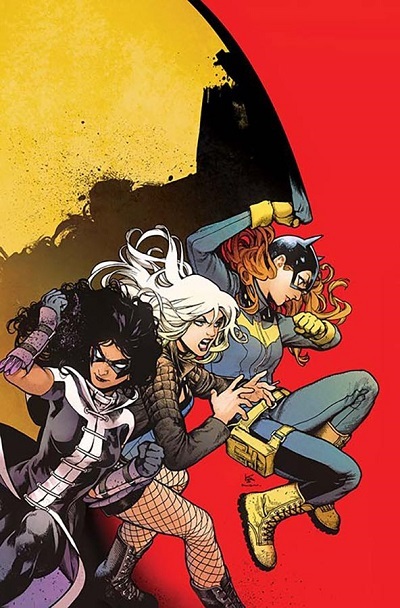 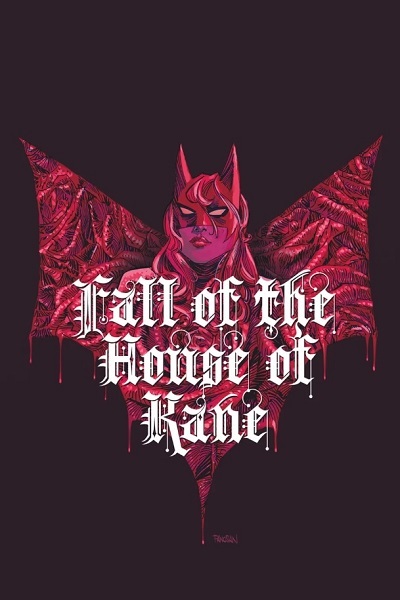 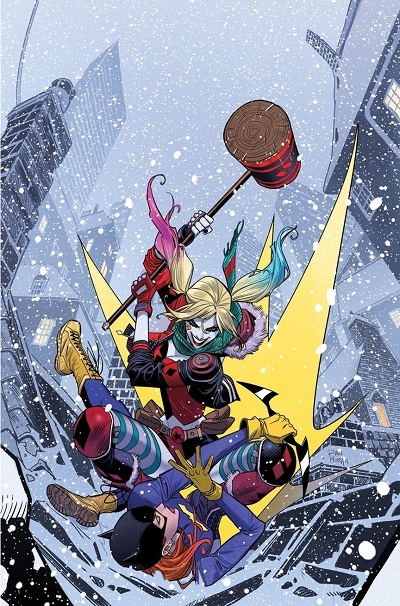 A modified cover was revealed a few days prior to the issue's release. 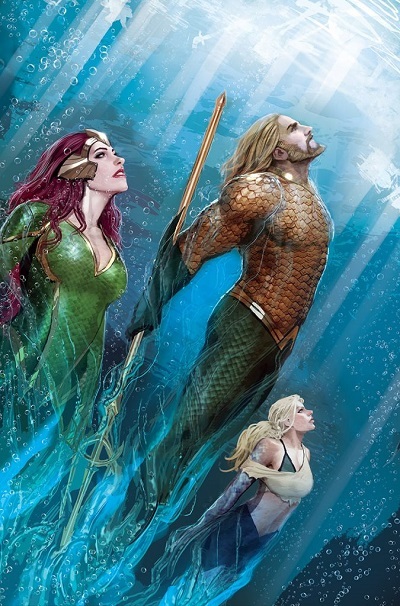 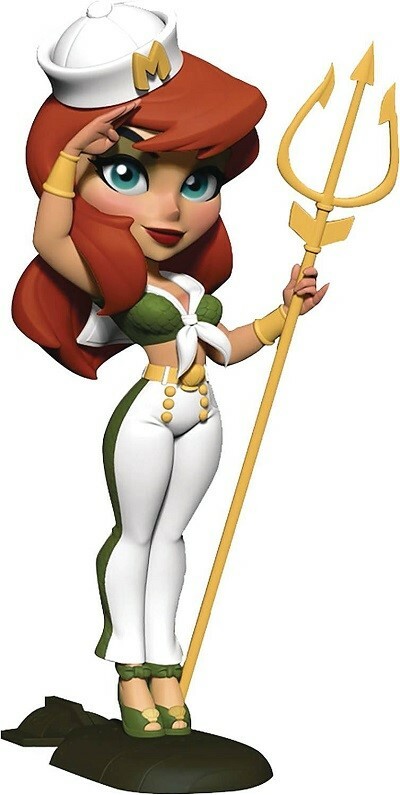 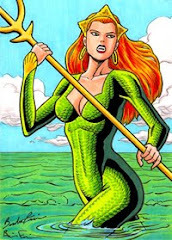 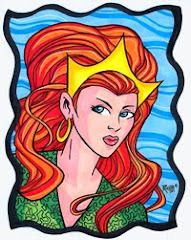 In this new version, Mera is wearing her crown and facing in the same direction as Aquaman and Dolphin. 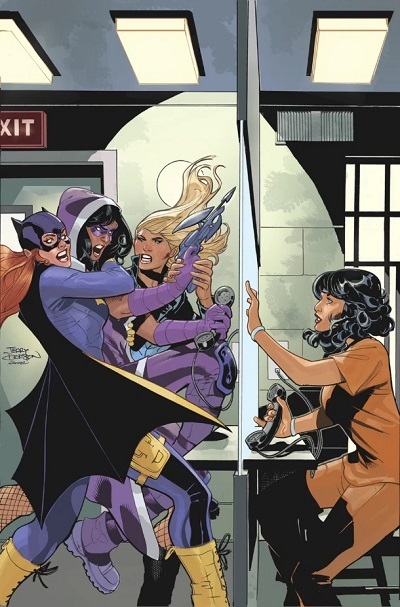 It is a slight change, but it actually changes the dynamic of the cover completely. 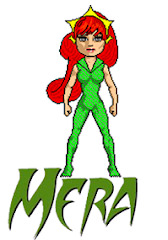 Also note the brighter colors and additional tiny details in the final version. 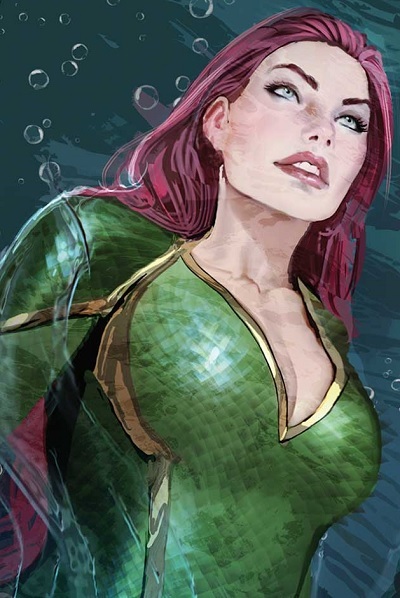 Close-ups of Mera also available for comparison. 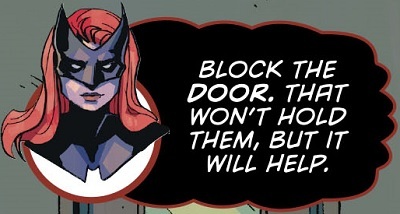 “BATMEN ETERNAL” part two! 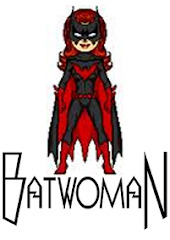 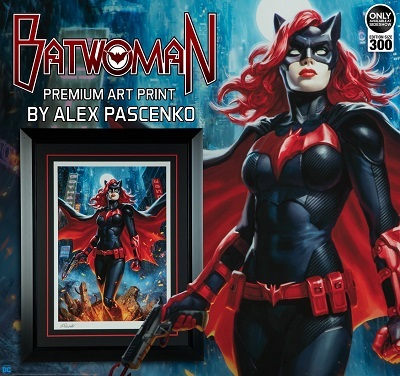 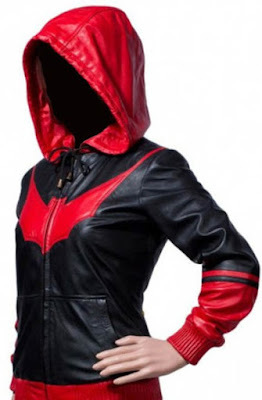 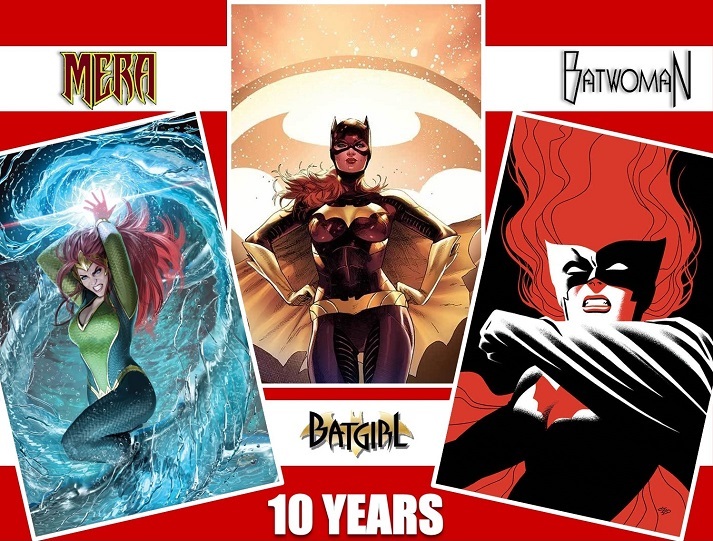 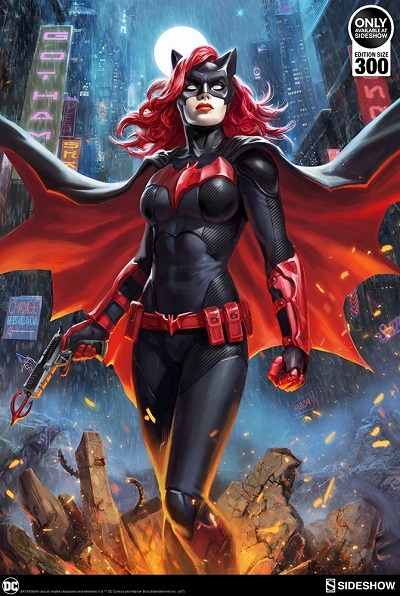 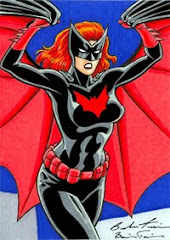 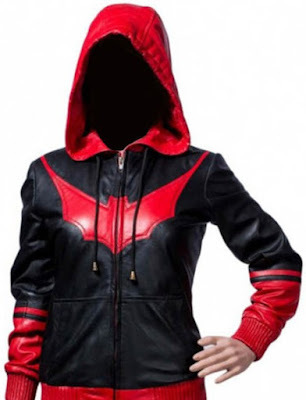 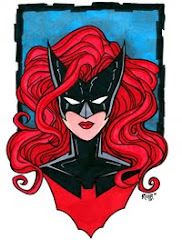 Batwoman has reunited with her father, and leadership of the Colony is in her hands...but should she take it? 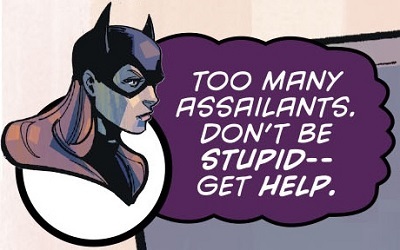 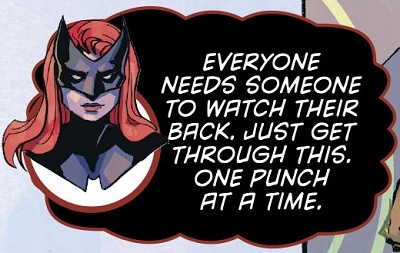 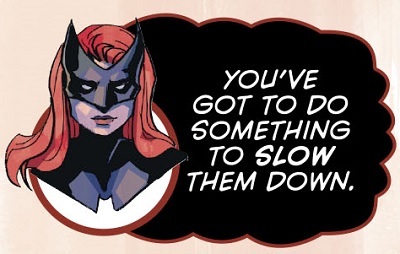 And if she does, what is she supposed to do about a problem like Batman? 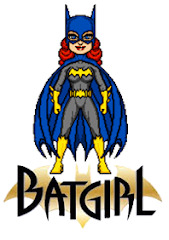 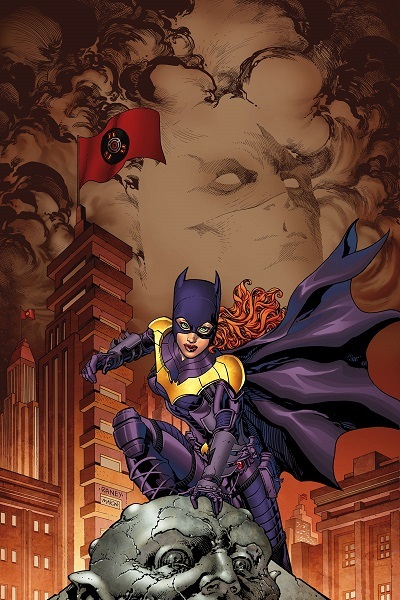 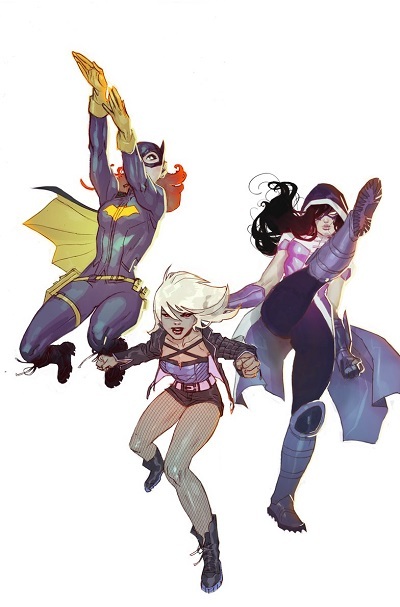 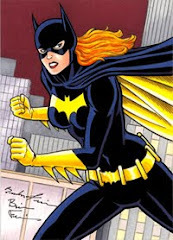 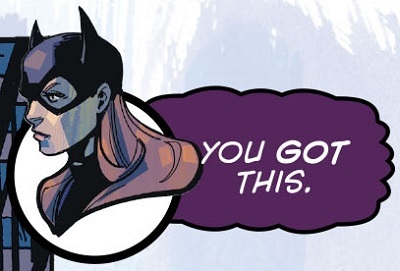 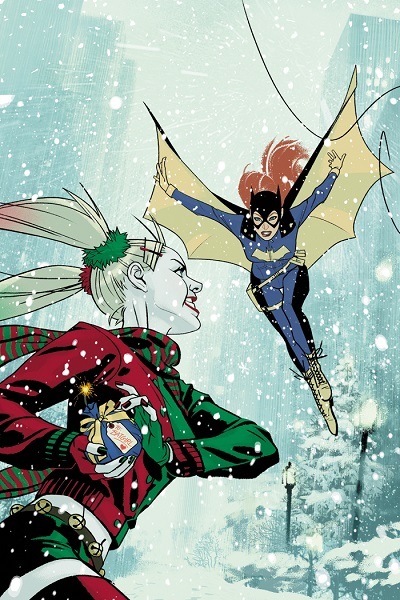 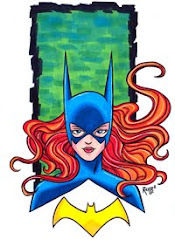 After saving herself and a GCPD officer from the criminal Harry X, Barbara Gordon became Batgirl. 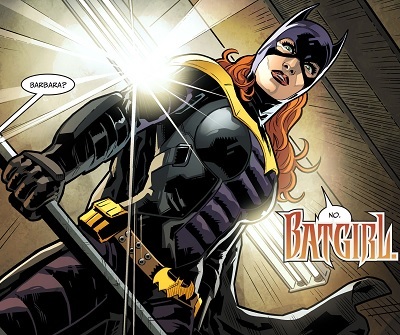 Three years after being shot by the Joker, Barbara has recovered physically, but is psychologically troubled. 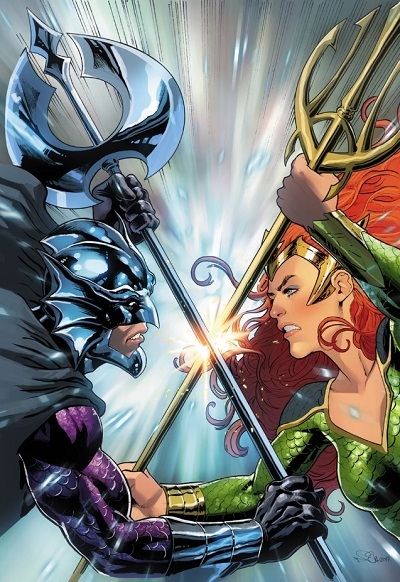 "Who is Oracle?" 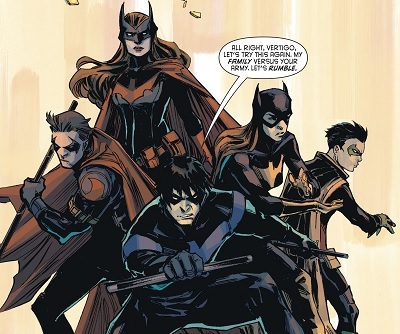 Finale: "Arise"
"What We Talk About When We Talk About Family"